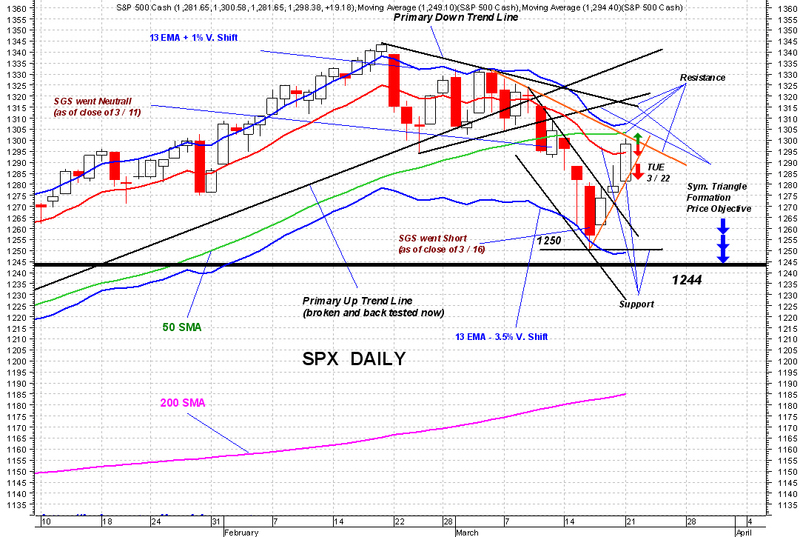 SPX back tested and closed above its 13 D-EMA today. It's now sandwiched by two trend lines (in orange) which will force SPX to make up its mind, set a course by breaking through and closing past one of those two lines. 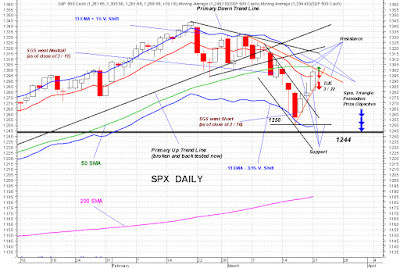 My money is on SPX breaking down through its new up trend line and moving lower for a very probable retest of 1250 level.